The British No 1 is working his way back to his best after form and fitness struggles over the last 12 months and a comprehensive victory over 12th seed Raonic, who reached the Indian Wells semi-finals last week, underlines the work he has been doing with new coach Mark Hilton. It means Edmund is on course for a possible quarter-final showdown with world No 1 Novak Djokovic, who needed three sets to see off Federico Delbonis overnight, but first Edmund will have to see Isner who won the title at Crandon Park this year. A win over the big-hitting, powerful Raonic was the perfect warm-up for Edmund who didn't face a break point on his serve and broach the Canadian once in each set for a relatively routine victory. It was a similar story for Isner, who fired down 16 aces in a 7-5 7-6 (8/6) victory over Spaniard Albert Ramos-Vinolas to set up a third career meeting with Edmund. The pair have practised together in Miami this week and have one each from their previous encounters, Edmund winning the last match, a four-set fourth-round win at the US Open in 2016. 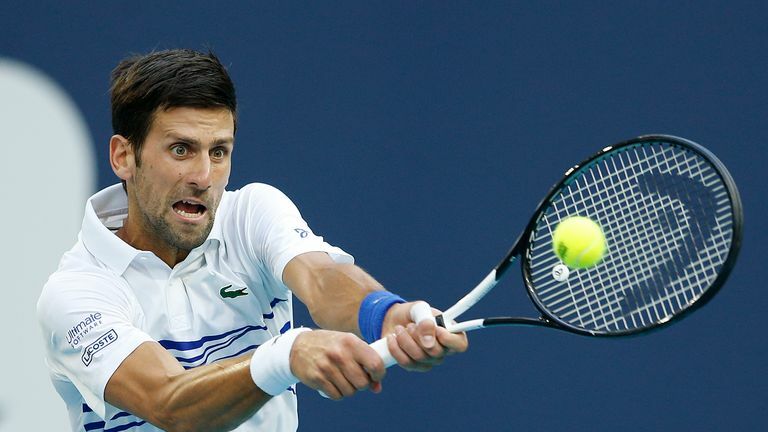 Djokovic did not have things as easy as he was forced to stave off a spirited challenge from Federico Delbonis for a 7-5 4-6 6-1 win that set up a fourth-round meeting with Roberto Bautista Agut. Also on Sunday night, Nick Kyrgios advanced coming through against Dusan Lajovic in less than an hour for the loss of just four games. However there was still time for an outburst in the direction of the umpire, a verbal run-in with a supporter who eventually was ejected and a couple of underarm serves, one of which resulted in an ace. Borna Coric is next in line for Kyrgios, the Croatian 11th seed battled back from a set down to beat Jeremy Chardy.